When tennis champion Serena Williams competed Tuesday at Wimbledon, eventually defeating Italian tennis player Camila Giorgi, she had an old friend cheering her on -- her ex, Drake. Yes, that Drake -- the rapper she was spotted kissing inside Cincinnati's Sotto restaurant in 2015, according to photos obtained by TMZ. This isn't the first time the Toronto-bred rapper has been seen supporting Williams. In fact, photographers have captured Drake, 31, courtside at Williams' matches since 2011. 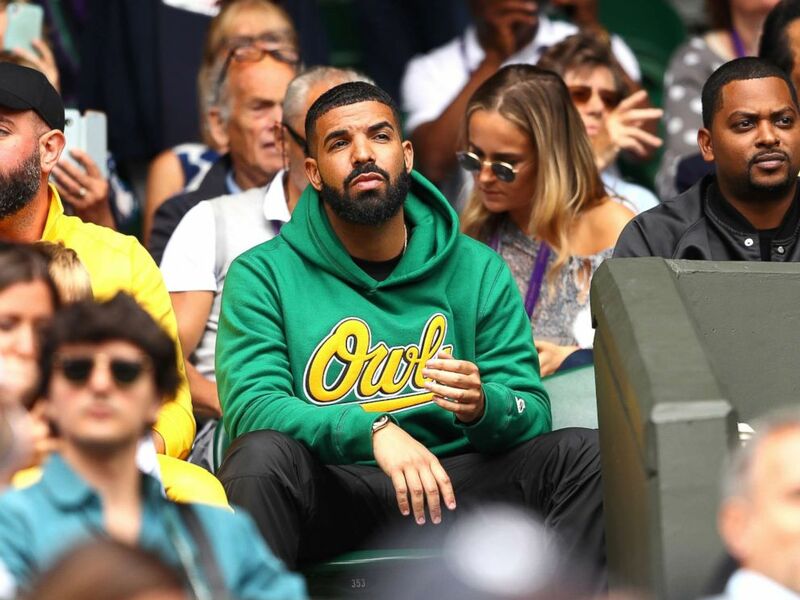 Rapper Drake attends day eight of the Wimbledon Lawn Tennis Championships at All England Lawn Tennis and Croquet Club, July 10, 2018 in London. On Tuesday, the 23-time Grand Slam champion beat out Giorgi, 26, in the quarterfinals. After losing the first set, Williams was able to turn her game around and defeat Giorgi. "I don’t know what I did," Williams said in a post-game press conference. "After the first set, I just said, 'Let’s go three sets.' I just kept fighting. I feel good. I feel like I did better today, I had to." In September, the tennis champion and her husband, Reddit co-founder Alexis Ohanian, welcomed a daughter named Alexis Olympia Ohanian Jr. Three months later, Williams and Ohanian, 35, wed in an intimate New Orleans ceremony. "But this is only my fourth tournament back so I don’t feel any pressure and have to win this," she added. "I’m here just to prove that I’m back, and I feel like I’m back." 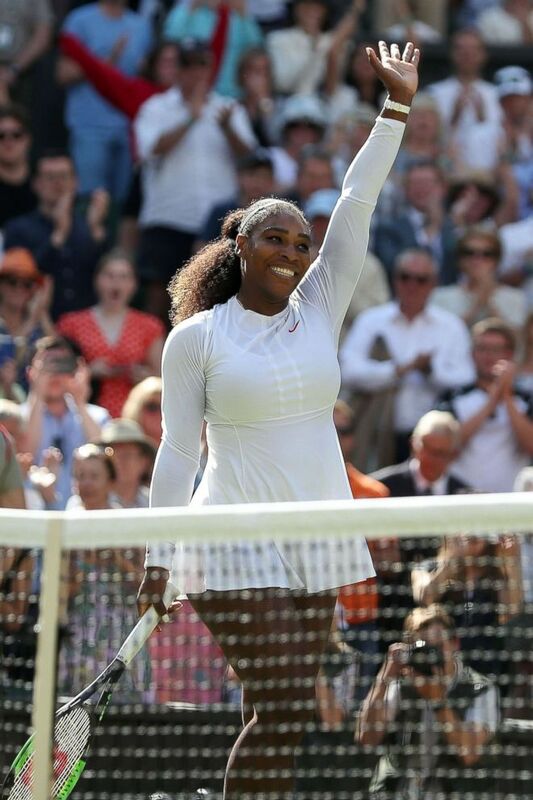 Williams, 36, now heads to the semi-finals to compete against German tennis player, Julia Gorges. The two compete Thursday at Wimbledon. Ahead of the big game in London, Williams admitted to "Good Morning America" that her body had changed after the baby. "It wasn't as tight as I was used to," she said last month. "I've played tennis for over 30 years, so I'm so used to [being] incredibly fit. But I realized everyone is different."